A 2nd Year Air Conditioning Apprentice is required for an Australian owned company located in Seven Hills. Delivering professional management services covering the design, installation, commissioning and servicing of Air-Conditioning and Mechanical Services for the Commercial, Industrial, Retail, Telecommunications, Transport & Infrastructure, Education and Finance sectors. All training and personal protective equipment supplied. 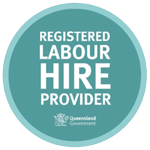 Great working environment and opportunity to achieve a nationally accredited qualification as a Certificate III Refrigeration/Air Conditioning Mechanic. Award apprentice rates will apply, and work clothing and PPE will be provided. The position is close to public transport. Ai Group Apprentice & Trainee Centre provides support for all apprentices and trainees by way of our mentoring program which fits in with a regular cycle of visiting in the workplace and training provider. We are there to assist and guide you through not only the apprenticeship/traineeship but where necessary provide support and assistance to allow you to successfully complete your work and training commitments and gain your qualification. This apprenticeship is a Skills Shortage Trade with associated Federal Govt benefits for eligible apprentices. We place apprentices and trainees with host organisations across all states and territories. We are a proud partner to more than 200 host organisations including some ​top Australia​n household names.